Microsoft has gained support in its lawsuit against the government. Apple, Google, Microsoft, Mozilla and Amazon, among others, have joined the boys from Redmond, Washington to oppose the Electronic Communications Privacy Act. The Act lets government officials bar companies from informing customers when officials want their information. These are called “gag orders”. This has become a hotly debated issue in today’s world. On the one hand the government has so much surveillance of the world’s population that it’s almost impossible to keep them out. On the other hand, the tech companies that can actually do that are taking more and more information from us every day. The lawsuit was filed in April of this year and is against the US Department of Justice. The DoJ already says that Microsoft has no grounds for a case and that there are laws out there to protect the rights of citizens. Also, the DoJ mentions that there is a “compelling” interest in keeping criminal investigations secretive. Microsoft fires back, slamming them with violating the First and Fourth Ammendment. The first protects free speech and the fourth establishes the people’s right to know if the government is seizing or searching their property. Most of you already know about Apple’s beef with the FBI over giving them access to user info. Microsoft’s lawsuit is about that and more. Obviously everyone wants to cooperate with their government to catch terrorists. But that doesn’t mean the government can pry around in your personal life without your permission. Microsoft already won a case against the DoJ in July. A federal court ruled 3-0 in their favour to not hand over to the government, customer emails that were stored in servers outside the United States. One very passionate ally of Microsoft in this endeavour is Mozilla who’s commitment to transparency is well known. 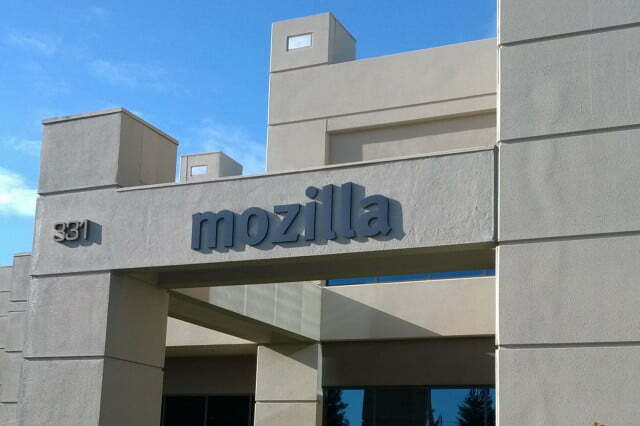 Mozilla’s chief legal and business officer, Denelle Dixon-Thayer said that companies also receive indefinite data requests from the government. This prevents them from notifying the users years after the fact when the “gag order” is no longer required. Microsoft has received 2600 of these gag orders over the last 18 months. What’s crazy is that five former officials from the FBI and the Department of Justice have also filed briefs in support of Microsoft as well as the U.S. Chamber of Commerce, British Petroleum and Fox News. Other companies supporting the lawsuit are the National Association of Manufacturers, Delta Airlines Inc., Eli Lilly and Co., the Washington Post, the National Newspaper Association and the Electronic Frontier Foundation.